Just heard the Mule Camp 2010 has been cancelled. This is not official, as I heard it "through the grapevine". Am sure someone from MC will be on here soon if it is true. Hate to hear this if true. It has always been a great match. Edit....Now it is official per the reply herein by Coyote Calhoun. Real Bummer, but thanks to all who made Mule Camp the great match over the years. Interests:WINTER RANGE08 MASTER Gunfighter Shootoffs OA WINNER, 18th EOT 08, 2004-2010 Montana State HOA & State champion, 07 Northwest Regionals 2nd Traditional/ 2nd overall (clean match) and Master Gunfighter Winner ,04 HOA winner Buffalo Bills Summer Range WY STATE Championships, 04 Montana STATE "CAS" OA Champion, IPSC MASTER, Former CA correctional peace officer, Founder of local CAS club. Ha....It is a plot by Johnny The Kid to keep everybody else away....so he can be "The Lead Mule". On the flip side the server has been down for over 2 weeks????? 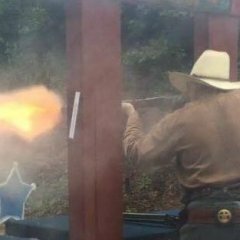 A pard of mine who's good friends with the owner of the range where Mule Camp has been held told him today that Mule Camp is moving from Georgia to either North Carolina or Alabama. Don't know if it's cancelled for 2010 or not. That's a shame, IMHO. The range owners spent a lot of money to make the range a first class venue for Mule Camp. It is with great sadness that I inform you that the Shootout At Mule Camp will not be held this year. I was just informed today of the final decision. I would like to congratulate all that have help put this match on for the last fourteen years. It took a lot of sweat and tears to put this match on for fourteen years and it has been one of the most successful matches in SASS history. Mule Camp was the match that other regionals we patterned after. The Shootout At Mule Camp has always been close to my heart because I help get it started and it was home. SASS will make an announcement shortly as to where the Southeastern Regional will move. Again CONGRATULATIONS to all that put forth the effort so that so many could have fun. Truly Sad, Mule Camp was always a fun shoot with great people. They have had some of the best and most copied stages in SASS. French Mistake will always be one of my favorites. I guess I waited a year too many to go. Very sad, I've heard nothing but good things about this event for years. I hope this isn't a sign of the future! Oh No !! This is very sad news indeed. Shootout at Mule Camp was a legendary event that set the standard for other clubs. It'll be missed. That's terrible news. I shot Mule Camp a few times and always really enjoyed it. Big thanks to everyone that's worked on that match throughout the years. Interesting. I bet there's a good story behind this one. Mule Camp was my first big SASS match. It was 1998. There were 16 of us from NY on the same posse. Needles to say there were some concerned folks!! I made a lot of friends at Mule Camp over the years and I am grateful for that. In 2007 I won a buckle there, and that is one of my favorite trophies. To all that made it happen over the years a BIG THANK YOU!! I hope this is not going to be a on going trend. I do love this game. But the Wire is full of rumors, some true, some not, not even a rumor to chew on yet. If someone knows the truth they could stop the rumor mill cold. A few more posts and the rumors will start. Ya know how to make "roomers" out of "boarders"? Mule Camp: the place where I got to meet and hang out for three days with MADD MIKE and shoot on the same posse with him and the legendary Lassiter. What a blast. Plus, I got to meet Possum Skinner and Santa Fe River Stan. Just a few of those great SASS memories. Thanks to all those who amassed unbelievable energy all these years in doing a first class job. Actually the truth the most elusive thing out there irrespective of CAS. Everyone has an agenda and puts their spin on the topic. Whether politics, religion, history, science you name it. Is your tongue all swelled up form biting it so hard? Sad news indeed. Thanks to all that worked so hard to put on this great match. 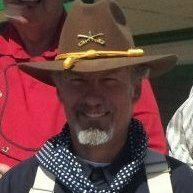 I have only been shooting for a year but signed up for SASS in 2008 at Mule Camp and enjoyed the experience of watching the shooters and visiting with the vendors, had to spend some money you know. I had just told my wife that I was going to sign up to shoot the match this year and then saw this thread, as my kids would say "What a bummer." Hope they can find another club that can handle a match of this quality. I have been going to Mule Camp since I was four, but I didn't start shooting it till 2004, It was one of my favorite matches and is my home gun club. I started shooting CAS in late 2000. I attended Mule Camp in 2001 as a conventioneer, just to see what a big match looked like. I was sold, and attended as a shooter every year since, with the exception of 2008. Always one of my most favorite matches! Sure sorry to see it end. It should move to the North Alabama Regulators gun club! Just a suggestion..
Alot of good people were behind this match in tha past, Alot of good ones would have ran it on. Main thing is DON'T let this match die!!!!!! If you were from these parts, this was tha match ta win, and was never handed to anyone. For gods sake give it tha respect it deserves. Hopefully the reason for the move, cancellation or what ever will come out; and soon.